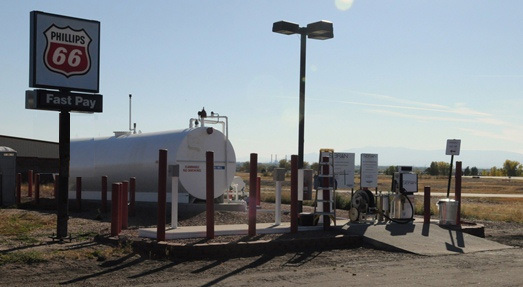 The Sibran - Pueblo self-serve aviation fuel station has been serving customers in Southeastern Colorado since 2003. Sibran - Pueblo has on-site staff to perform daily quality control checks as well as maintenance on the facility to ensure 24/7 availability. The Pueblo Memorial Airport has three runways, two of which have an ARC of C-III. The primary runway is 10,500 feet in length and has a CAT-I approach. The crosswind runway is 8,300 feet long. A general aviation runway is nearly 4,100 feet long. The FAA operates the Air Traffic Control Tower and the Airport maintains an on-site Fire Station. A restaurant, rental cars, aircraft maintenance and hangars are all available at the Pueblo Memorial Airport. Sibran's pricing strategy is to be competitive with airports within a 50nm radius of each Sibran location. This has generally resulted in prices $0.50 – 1.00/gal lower than that of the local full-serve FBO. Sibran offers an additional $0.20/gal discount off the posted price at all locations for customers that the oil company's gas card. One of these credit cards can be had for free at www.flyphillips66.com. The discount is automatically applied at the time of purchase. 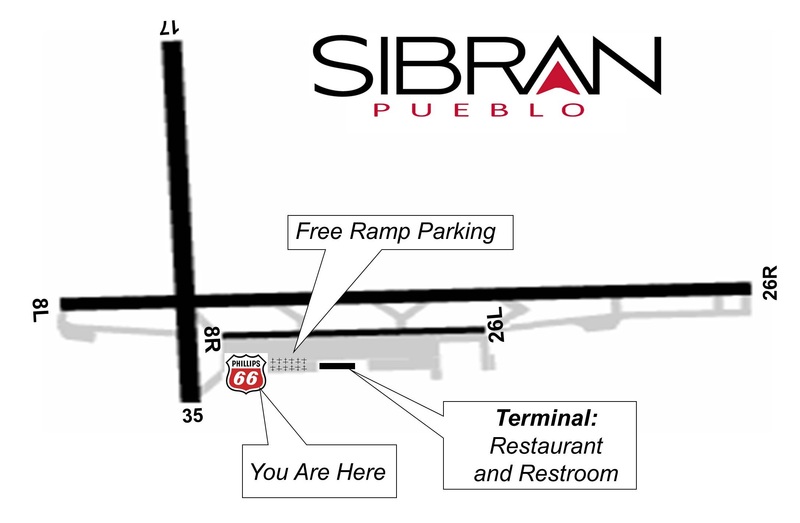 Sibran - Pueblo has changed brands to Phillips66. A new port-a-pot has been installed at the self-serve. Get a $0.20/gal discount by using a Phillips66 gas card. If you are experiencing a problem at this location, please contact Rick by phone 719.671.0008, Dan Olsen by phone at 970.231.6114, or via e-mail at .